Google, in its commitment to bringing culture online and making it accessible the widest possible audience, has announced a major expansion of the Art Project, signing new partnerships with 151 partners in 40 countries, including India. From now on, with a few simple clicks of their fingers, art lovers will be able to discover not just paintings, but also sculpture, street art, and photographs. Creations from a wide variety of cultures and civilizations are represented, including Santiniketan Triptych in the halls of the National Gallery of Modern Art, Delhi. Since its inception the project has expanded dramatically. More than 30,000 objects are available to view in high resolution, up from 1,000 in the first version. Street View images now cover 46 museums, with more on the way. 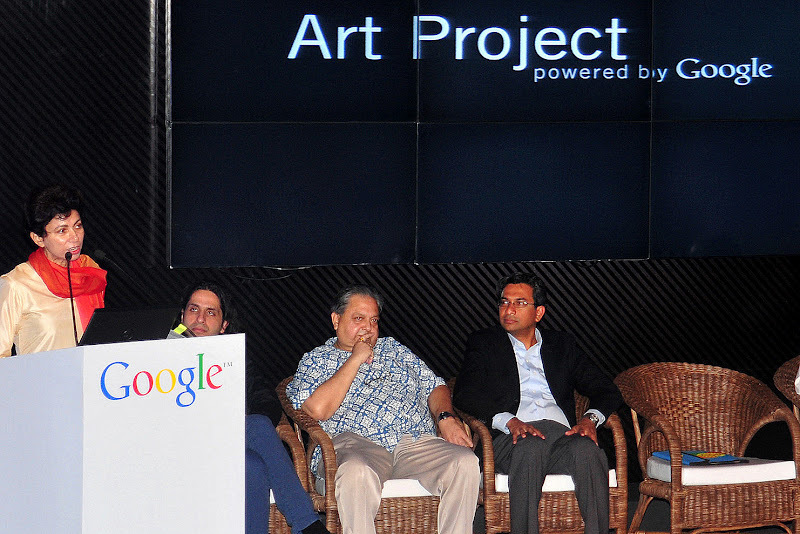 Amit Sood, Head of Art Project, Google, says "The Art Project is going global, thanks to our new partners from around the entire world. It’s no longer just about the Indian student wanting to visit Metropolitan Museum of Art in New York. It is now also about the American student wanting to visit the National Gallery of Modern Art in Delhi." The new Art Project is bundled with many key features including the user feature to browse the content by the artist’s name, the artwork, the type of art, the museum, the country, the city and the collection. More than 30,000 artworks are featured in high resolution. Some have been photographed in extraordinary detail using super high resolution or ‘gigapixel’ photo capturing technology, enabling the viewer to study details of the brushwork and patina beyond that possible with the naked eye. It also includes other completely new tools called Explore and Discover. Prof. Rajeev Lochan, Director National Gallery of Modern Art says "The National Gallery of Modern Art (NGMA) is the premier museum of modern art and is a repository of the visual, plastic and creative ethos of India. The NGMA houses and showcases masterpieces of the changing art forms spanning more than 150 years. The collection plays a pivotal role as it maps, charters and records the trajectories, movements, diversities and individual pursuits that have contributed to the making of modern Indian art. The main objective of the NGMA is to create sensitivity, awareness and understanding among national and international audiences towards the Indian idiom and art expression. The Google Art Project uses sophisticated technology to help us take this endeavour online and available to users globally."